Want to know how to detox your body without going on a diet? If you’re using detoxing as a means of crash dieting, which further enables unhealthy patterns (I can eat this now, or binge now because I’ll be detoxing next week…) then I think you’ll benefit from learning how to detox your body without going on a detox diet. Then it’s definitely a good time to start thinking about how to detox your body, but where should you start? I think the best detox for you is the one that will actually benefit you in the long run, not a detox that will make you lose 15 pounds and then bounce back so hard you won’t know what hit you. I always keep coming back to the old adage “slow and steady wins the race” and I also find this to be true when it comes to detoxing. What’s the Purpose of a Detox? The purpose of a detox (sort for detoxification) is to help your body to efficiently remove toxic waste and support the organs that are primarily responsible for detoxification – primarily the liver. I believe it’s better to detox in stages rather than detoxing in a way that’s so extreme it’s most likely to result in a backlash. That’s why I create specific detox protocols 100% tailored to meet individuals needs for our Raw Food Detox Retreats here in Hawaii. Instead of thinking of detox as a way of crash dieting, think of detoxing as a method for cleaning up your diet. Even transitioning away from meat and dairy products, even if it’s only for a month and implementing more raw foods into your diet will be incredibly detoxifying for most people. You can also think of a detox as a way to jumpstart a new way of living and eating. Depending on how “strict” the detox protocol is, detoxes can last anywhere from 1-4 weeks, but more importantly is learning how to transition to a dietary lifestyle that lightens up the toxic load in the first place. Seems straightforward right? The less toxic load you put on and in your body, the less toxic waste will come out and the less you’ll have a need to detox in the first place. Transition to a whole-foods “clean eating” lifestyle and you’ll be way ahead of the game. Refined Foods: this includes paying attention to anything that comes in a package! Anything that’s white due to processing or comes in powder form: white sugar, white flour, white grains, etc. Refined carbohydrates: donuts, pasta, cookies, chips…get the picture? Oils: Check out this article about oils, looking at if they really are a health food? Cigarets: Do people still smoke, really? Caffeine: Caffeine can really put an extra tax on your body. Think about it as borrowing energy from your future self, and keep in mind that one day it will catch up with you. If you need to drink caffeine to keep you going, you’re not getting enough rest in the first place. Now that you know what not to put in, we have to rebuild a framework around what to eat. My top recommendation boils down to eating real whole foods, predominated by fresh fruits and vegetables. Fruit is designed to taste amazing to us so we’re encouraged to keep eating it, isn’t that an incredible way that nature works? Eating fruits is the tastiest detox protocol you’ll ever find, and it’s also the most beneficial and sustainable. There are so many myths around fruits that it saddens me to think about all the people who really love fruit but have been told to steer clear of it. Did you know I completely cured my hypoglycemia by transitioning to high consumption of fruit? Yes! My blood sugar levels became more stable after I transitioned to a high-raw, high-fruit lifestyle. (And no, this doesn’t mean becoming a “fruitarian”.) I’ve also helped many women clear up their candida issues by transitioning to high fruit, totally counter intuitive based on mainstream thought. The main thing you need to know about eating fruit, without going into too much detail here, is to not combine it with fat. When you eat fruits, it’s ok to combine them with leafy greens or vegetables but keep fat separate! I recommend only eating whole food fats with your dinner meal in the form of some added nuts or seeds, avocado or coconut. Every single major health organization in the world recognizes the health benefits of eating lots of fruits and vegetables. Fruits and vegetables are the most nutrient-dense foods on the planet. In addition to being low in calories, mostly low in saturated fat (coconut and avocado are two exceptions), and containing only trace amounts of cholesterol, these two incredible food groups take either the #1 or #2 position regarding our most essential nutrient needs. When fruits come in first, vegetables come in second, and vice versa. Since fruits and vegetables take the #1 and #2 spots in meeting our nutritional requirements, they should comprise the bulk of the foods you consume. Eating a varied fruit- and vegetable-based diet also naturally provides you with the optimal caloric-nutrient ratio of carbohydrates, proteins, and fats to satisfy your body’s requirements. If the thought of transitioning to a whole foods lifestyle is a little overwhelming, get 40% a digital download of my 28-Day Plant-Based, High-Raw Meal Plan. It follows a “raw till 4” philosophy and is a great resource for implementing healthier recipes into your diet. In this meal plan, I teach you how to make clean, healthy plant-based meals from scratch and include super detailed shopping lists and recipe instructions so it’s a complete easy-to-follow meal plan guide including over 80 recipes. Most people think they need to drink 6 liters of water a day to maintain hydration, and this is a huge myth. I think it’s first and foremost important to remove all the dehydrating foods from your diet (the majority of the foods people eat on a Standard American Diet S.A.D are dehydrating foods.) and start including water-rich foods. When you start to eat lots of fruits and vegetables, and reduce intake of processed foods that have so much more salt in them than your body knows what to do with, you’ll notice you’re need to drink water actually goes down. I like to remind people that eating fresh fruit is one of the best ways to stay hydrated in your day. If you’re a little more serious about detoxing, I also recommend upping your intake of liquids in the form of smoothies, green juices, coconut water, herbal teas and purified water. See below for a simple week-long detox protocol that we implement here for our Raw Food Detox Hawaii Retreats. Top up with regular water. This organic, all-purpose cleaner is great for kitchen counter tops, bathroom and kitchen sinks, toilet bowls – you name it. Another great household detox suggestion: Instead of using windex, use plain vinegar for cleaning glass and mirrors. In addition to detoxing your household, it’s also important to stop putting so much toxic load on your skin. Use this rule of thumb: If you wouldn’t put it in your mouth, don’t put it on your skin. this goes for shampoos, moisturizers, you name it. I like to use aloe vera or plain shea butter on my skin. Use all-natural organic toothpaste. I switched to eco-dent and I absolutely love it. Use all-natural deodorants, especially ones that are aluminum-free. How to Detox Your Body Tip #6: Help Your Skin Breathe! One of the primary ways we detox is through our skin. Did you know that your skin is your largest organ? Don’t be surprised if you notice your body odor smelling quite different while you detox! It’s just your body releasing stored toxins. Herbal steams, baths and saunas are a great way to help encourage detoxification. They also can be a great way to manage stress which is a major contributor to toxic load on the body. Dry skin brushing is also a great way to help your body detox. Dry skin brushing is a technique that’s been used for thousands of years. This is the dry skin brush I like to use. When you dry brush, you help remove your skin’s dead cells, and are making room for new and fresh skin cells to grow. This helps the skin release toxins and can help reduce the toxic detox loan on your liver and kidneys. Combine herbal steams baths or saunas with dry skin brushing and clean eating and you’re really on a detox role! Try to get outside at least once a day. Do yoga, go for a walk, dance, play in whatever way feels good for you. Moving your body on a regular basis and in a way that brings a smile to your face is an essential component in helping your body detox. Eliminating alcohol is the number one way to immediately start supporting your liver. Check out this article on the top 15 Tips to Support Optimal Liver Function. I recommend milk thistle, nettle, and dandelion. I also recommend upping your intake of fresh turmeric. Turmeric is one of the most powerful healing foods on the planet. Check out this article on the Top 7 Health Benefits of Turmeric. There’s also some great teas that have a blend of herbs that help with detox. Check out this one by yogi teas. Start off your day with room temperature purified water with a squeeze of lemon juice in it. Eat fresh juicy fruits during the day. Eat fruits in the form of smoothies. Check out this medicinal mango smoothie that’s great for supporting detox. Have a simple green salad, with small amounts of fats, or other combination of vegetables for dinner, like a raw zucchini pasta. We’ve been doing private raw food retreats here in Hawaii for over 5 years now and the results we’ve seen have been incredible. We still get emails from clients years later sharing with us how this experience changed their lives. Click here to find out more about our raw food detox retreats. You’ve lost the weight, but now the hard part is maintaining it. Here are 6 tips for consistent weight management, to help you end the cycle of fluctuating weight levels. Yo-yo dieting is such an 80’s term isn’t it? Yet, I know so many people who witness pretty major fluctuations in the number staring back at them from the scale. I hear this as a common experience from many of my clients and many of the people who come to take part in our private raw foods retreats or our raw food detox retreats here in Hawaii. I know many people who jump into the raw food lifestyle with that same kind of “diet mentality” and they express that “it doesn’t work” for them. Why does “yo-yo dieting” affect so many people? Maybe it’s because when we want to make a change, we set super high and unrealistic expectations that we can’t meet. We put too much pressure on ourselves to make as many changes as fast as possible and we all know that this doesn’t work, in fact, it backfires. But we do it to ourselves anyways. If you’ve read my book “Unhooked, A Holistic Approach to Ending Your Struggle with Food” then you know I’m all about the philosophy “slow and steady wins the race”. Finding balance and harmony with our body and weight is all about cultivating habits that feel in balance and not too extreme. Even though I run a brand called “Happy & Raw” I’m personally no longer 100% raw, 100% of the time. I embarked on the raw food path almost 10 years ago now, and at this point, I’ve seen all sides of it. After experiencing a lot of set backs with the higher fat “gourmet raw” style of raw food (which incorporates a lot more nuts and seeds), I transitioned to a lower fat, higher fruit way of living (what we call low fat raw vegan or LFRV for short) several years ago and haven’t turned back. But after being fully raw for about 3 years during that journey, even though I loved it and experienced amazing results, I also found that there was a certain rigidity around it that was no longer serving me. I wholeheartedly believe in the power of raw foods, but I also notice that it can attract a lot of extreme mindsets and I found it was more beneficial to loosen my harder edges around raw vs cooked. This felt more realistic for me for my long-term commitment to this lifestyle and ultimately, felt more balanced for me. Apparently I wasn’t the first person to think about staying “raw till 4” since there’s actually a whole movement around it. Have you heard of the raw ‘till 4 movement? If you’re new to raw foods, this can be a great way to get started out and this is the philosophy I follow in my 28-day High Raw, Plant-Based Make It Yourself Meal Plan. This “raw till 4” mentality allows me to have some overall guidelines in my dietary life that don’t feel too strict but keep some level of consistent normalcy around how I eat. As I mentioned above, I’ve experimented with a lot of different ways of eating raw food. When raw food diets were really starting to get popular, a lot of mainstream raw food diet philosophy was mostly geared towards “gourmet raw” which included a lot of dehydrated foods. Although I still use my dehydrator (my all-time favorite thing to make are my raw, gluten-free sun-dried tomato wraps) I now follow a lower-fat dietary approach. I rarely eat much fat at all until dinner time and mostly stick with fruits and veggies during the day, mostly consisting of smoothies and just straight up fruit. This is also for food combining reasons which I also talk a lot about in my book Unhooked. Now I know not everyone can eat fresh local fruits like we can here in Hawaii, but I know many people living a LFRV (which stands for low fat raw vegan) lifestyle all over the world. I also love the fruit community (yes there really is a massive “fruit community” check out the Woodstock Fruit Festival happening in August which I will be speaking at…) So just to recap: to help keep my weight consistent, I stick with lower fat during the day (raw till 4) which pretty much consists of fruits and veggies (lower fat). When I’m feeling unbalanced in the way I’m eating (which definitely happens from time to time, mostly as a result of too much stress and not enough sleep) then I start to notice myself snacking later in the evening. Side note: If you feel like you’re unbalanced in the way you’re eating, check out this article, 15 tips to help you get back on track when you’ve fallen off the wagon. I notice a pretty significant difference in the way I feel when I fall back into the habit of eating dessert-type snack foods (even if they’re made with “healthier” ingredients…) later into the evening. I notice this has a pretty significant effect on the way I feel, including the quality of my sleep and especially on my weight levels. I ideally like to eat my last meal before 5:30pm but I understand that’s not always realistic for my schedule (and it might not be for yours either.) Depending on when you go to sleep, I recommend eating at least 3 hours before you go to bed in order to help maintain consistent weight levels. Another great tip for maintaining balanced, optimal weight levels is to start off your day with liquids. Most of the time, when we wake up in the morning, what our body needs is hydration, not food. I actually like to just drink coconut water, usually until about 10-11 am in the morning before I have my first meal, which is usually a smoothie. I also like to drink ginger, lemon honey teas on colder rainier mornings (yes those morning happen for us here too in Hawaii) or I make myself a green juice. My usual morning flow is that I wake up, drink a coconut and then go for a walk, and then drink another coconut or two when I get back. (Want to experience a week eating and living this way in Hawaii? Check out our Private Raw Food Hawaii Retreats as well as our Raw Food Detox Retreats) After that I move onto fruit or smoothies. My favorite way to start my day is by going for my morning walk. For those of you who follow me on Instagram (@happyandraw) then you’ve probably seen me posting short videos of my morning walks. I call this my “Joy Juice” because walking in the mornings by the ocean just makes me feel so dang good! And guess what, when we feel good, everything flows better in our lives and we also naturally choose to eat better too. So if it’s not walking for you, like it is for me, then find your “joy juice” and make that a regular part of each and every day in your life. It’s hard to deny the actual scientific benefits of walking, so if you don’t know what your joy juice actually is, then give walking a try. I often tell people walking literally saved my life because it helped pull me out of a pretty major depression, and it’s the first thing I turn to when I’m feeling like I’m in a funk (which is what directly influences the way I eat.) Need to get get out of a funk? Go for a walk. Drastically reducing my consumption of oil and salt was also a pretty major habit change that I implemented after reading Doug Graham’s 80/10/10 book, which is one of the books that I highly recommend everyone reads, and attribute it to helping me change my life for the better. After reading his book, I made a pretty massive change in my consumption of salt and oil, although I do sometimes use coconut oil when I’m cooking. If you haven’t read my article on oils, read “Are Oils Really a Health Food?” here. It’s a good starting point for reading my general overall philosophy on oils. Basically, they are a refined food. Oils start with a whole plant, and then everything else is removed so you’re left with oil which is 100% fat. It’s also not something that naturally occurs in nature (meaning it’s a man-made food process). So instead of using oils, use whole-plant sources of fats instead, like hemp seeds instead of hemp oil, or try avocado, or coconut meat. The combination of salt, oil and sugar is the way most people are hooked on overeating and don’t even know it. When it comes to salt, I’ve experienced drastic shifts in my body when I started eating whole plants for sodium and removed the use of added salt. (You might not believe it but I lost 13 pounds of excess water weight by removing salt from my diet.) Sodium is essential to the body, and you can get enough through whole plants. I’m so passionate about the whole salt topic, that I wrote an entire ebook on it. Click here to get your free download on the myths of salt, this information will seriously shock you. I’ll let you know how everything I thought I knew about salt was completely wrong and how I lost so much excess weight that I didn’t need to be carrying around by not adding salt to my food. The key is to find a balance that works for you. I whole-heartedly endorse the slow and steady wins the race philosophy. Gradual changes lead to big results. That’s a fact backed by science. Try creating a list of 4 or 5 things you can do to stay consistent with and track your progress. What do you do in your life to help implement consistent weight levels? Live Free, Laura D saying a big Aloha from Hawaii! Staying healthy while traveling can often prove to be challenging. But with a little planning and fore site, it really doesn’t have to be. Travel a lot for work or planning a little road trip for fun? Whether you’re hitting the road for a weekend trip, a weeklong trip or are a dedicated traveler on the road for months for pleasure or for work, here are some easy tips that can support you in maintaining a healthy diet while traveling. If you’re traveling on a plane to another destination over Thanksgiving or Christmas, then check out the list of specific food recommendations. If you think there’s not going to be a lot of healthy food options where you’re going, having some back up snacks with you will support you on your journeys! Pretty much all of the following helpful tips fall under one larger category: being prepared, planning ahead and staying organized. Start by looking at where you’re going to be traveling to and for how long. What you decide to pack in terms of food, will depend on where you’re going. I’ve done lots of trips where we had very little access to fresh food, so I needed to pack extra backup foods. (These backup foods are what I consider to be the next best thing after fresh foods, Fresh is best, but if you don’t have access, then healthy dried foods that keep for longer will go a long way in supporting your health on the road. The power of the internet makes everything easier. Depending on where you’re driving through and/or staying, look up local farmers markets online for that area or try to find a local health food store, or map out the locations of Whole Foods and stock up the coolers when you’re passing through. Also check out www.happycow.com for a potential list of some healthy restaurants you might want to visit along the way. This is a great resource for vegetarian, vegan, raw food restaurants and other healthy “alternative” restaurant, complete with reviews to help you decide. Even if you’re not traveling long distances, become familiar with the farmers markets and health food stores and healthy restaurants around where you live. I always pack at least 2 coolers with me on road trips. Other kitchen essentials that I pack include: a cutting board, plate, small bowl, jar (very multi-functional but great for whipping together salad dressings on the fly), and basic cutlery (I love bamboo to-go ware) and a big bowl for salads and a decent knife with sheath guard. I also pack a small plastic bin with some dish soap if we need to be doing our own dishes at campsites, and a couple of tea towels or a roll of paper towels. With this list, you’re good to go: you can easily stop and pick up some whole food ingredients and whip something together like an easy dip, a salad and dressing or a fruit salad. 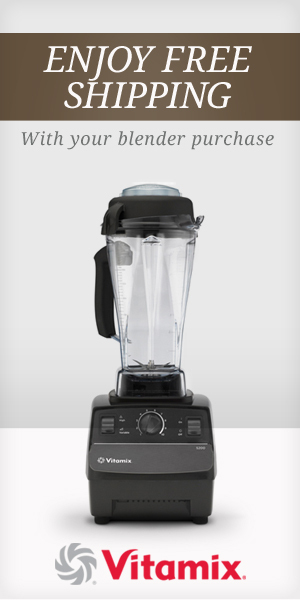 If you really want to go all out, you could even pack with a little bullet blender and stop and make your own smoothies! If you’re only going for a few days on the road, take the time to plan out your meals and pack enough for those few days. Make a big smoothie for the first day on the road and pack a pre-made salad and dressing. Bring enough fruit with you and restock along the way if you need to. When packing fruit, try to pack a combination of ripe fruit as well as less-ripe fruit that will ripen over the course of the next few days or even over the course of the next week. If you’re going for more than a few days, green bananas are great to bring, and you can eat them as they ripen. So are oranges, apples, green papayas. Fruits like berries and grapes will tend to go off the fastest, but I can never resist buying fresh berries from local farmers markets! Stock healthy snacks like raw dehydrated power bars or bliss balls that keep for at least a couple of weeks in the cooler. Pack a raw dehydrated granola for an easy breakfast move while on the go. Pack some dried fruits like dried persimmons, prunes (which will at least help keep you regular!) dried figs, dates, or mulberries for a quick healthy snack. I love to pack my favorites wraps (sundried tomato wraps and plantain tortillas) as well as dried nori to roll up meals on the go. If you’re traveling somewhere that might not have a lot of fresh produce, consider packing a healthy green powder or some superfood powders like Moringa, Spirulina or Chlorella to add to water or smoothies. I also like to pack a jar of tahini as well as either fresh lemons, organic lemon juice (I like the Santa Cruz brand) or a small thing of organic balsamic vinegar. Wherever you’re off too, have a wonderful time! Explore the fresh fruits and vegetables that are local to the area you’re traveling to! If you’re looking to get away in the New Year, check out our private Raw Food Vacations here in Hawaii. Live Free, Laura D. Author of Mindful Eating for Dummies as well as Unhooked, A Holistic Approach to Ending Your Struggle with Food. If You’re Afraid to Eat Fruit, Find Out What Mistakingly Gave Fruit a Bad Name and Why You Don’t Need to Worry About “Too Much Sugar” Anymore! I remember when the Atkins craze hit. People were eating bacon, eggs, and cheeseburgers—minus the bun—like it was going out of style, and all in the name of “health”. Many mainstream “low-carb” diets recognize the damage that refined carbohydrates (think white pasta, cinnamon buns and commercial cereal products) wreak on our health but have inadvertently given all carbohydrates (especially fruit) a bad rap. This unfortunate confusion has lead innumerable people astray from the simple, intuitive process of eating real, whole foods because it condemned a whole category of macronutrients that is essential to our survival—carbohydrates. The most drastic affect this condemnation of carbohydrates has had is how it’s influenced our consumption of fruit; because we’ve all heard it a million times: fruit contains “too much sugar”. The good news is that understanding the truth about carbohydrates, and especially about fruit is actually very simple and straightforward, and can help you make better choices about what to eat. When I clarify things for my clients, I almost always hear people express how happy they are that they can eat as much fruit as they like. This intuitively tells me how much we’re naturally inclined to eat the wholesome nectar provided to us by this earth, and how we run into bigger dietary issues when we try to deny our body’s natural inclinations. In the health industry, there are constantly new diet trends and food fads embedding themselves as truth into our psyche. Uncovering some of these truths as myths was a real eye opener into how easily foods can be misconceived, as well as how easily wholesome foods can be turned into junk foods. When I found out that what actually makes processed chocolate, more formerly known as cacao, bad for you is all the added sugar, dairy and preservatives, I knew I needed to learn more so I could differentiate between unhealthy processed chocolate junk foods and good quality chocolate derived from the cacao pod with minimal processing. Let’s dive into some of the benefits of cacao so you too can better learn how to navigate the inundated chocolate field and reap the benefits that this incredible plant has to offer. Unlike cocoa, which is roasted, cacao is a raw pod and is chocolate in its purest form. Here in Hawaii we are lucky to have cacao trees growing all around us. I love eating the gooey white pulp, known as pulpa, which is the fruit surrounding the bitter tasting yet beautiful purple cacao beans. I personally find the taste too bitter to eat the cacao beans raw, although I know many people who love to crunch on them right out of the pod. If you’re not in an area where cacao grows naturally and they’re unavailable at the markets nearby, fret not. There are still a few great ways to get the benefits of this superfood into your diet. Have you ever grabbed a handful of rosemary when you are in the vegetable section of your local market, breathed in its essence, and bought it on an impulse only to bring it home to let it rot in the bottom of your refrigerator, simply because you didn’t know what to do with it? I used to belong to that club, and I kept buying it because I love the fragrance of it so much, I just kept coming up against mental road blocks with what I could actually do with it. Helps to support healthy blood vessels. Have you ever heard of the Noni fruit? Noni juice has been infiltrating the health conscious community for some time now, and is starting to have a pretty massive cure-all reputation. Living here in Hawaii where we have bountiful noni trees growing on our property, and I’ve had the unique experience of working with this fruit and the plant in a variety of different ways. It’s actually hard for me to associate the word “fruit” to noni since it really is one of the most disgusting things I’ve ever smelled – and tasted! Although I do know a rare few people who actually like to chomp down on a ripe noni fruit, these people are the rare exception. But if you can get past the incredibly disgusting smell, worse that dirty socks mixed with the moldiest blue cheese, folklore remedies say that this potent plant can indeed act as a powerful plant medicine in many different ways, by using not only the fruit but the leaves as well. Here in Hawaii, Noni, or Morinda citrifolia, has been part of traditional medicine for centuries. Noni is found in many tropical geographical areas including the Phillipines, India, the Pacific Islands, and Southeast Asia. This irregular shaped fruit, which is about the size of a potato, is a powerhouse of vitamins and minerals: Vitamin B1, B2, Be, B5, B6, B12, C, folate and beta-carotene, calcium, potassium, magnesium, iron, and phosphorous. In a recent article I gave you 8 ways topping up on Magnesium levels can literally change your life. Magnesium is a co-factor in over 300 functions in the body and has been known to regulate blood sugar, boost energy, improve sleep quality and strengthen bones. A deficiency can lead to serious ailments such as IBS, depression, hypertension as well as kidney stones and high cholesterol. Yet an alarming percentage of the population are not meeting their daily requirement of this essential nutrient and are unaware of the correlation between many of their symptoms and magnesium deficiency. If you’re feeling low on magnesium, I recommend implementing a holistic approach and upping your intake of magnesium rich raw foods as the best and first place to start. Dark leafy greens like kale, swiss chard, collards and spinach are rich in magnesium and are great served raw in salads, smoothies as well as juiced. Check out my protein rich green smoothie for some ideas on how to incorporate more greens into your life. Kale chips are another favorite way to up my intake of dark leafy greens! Avocado has approximately 58 mg of Magnesium in an average sized fruit. I love to add avocado to nori rolls and wraps, but it’s just as great served sliced and topped with lemon juice or made into a delicious guacamole!